on the Robe SA app. 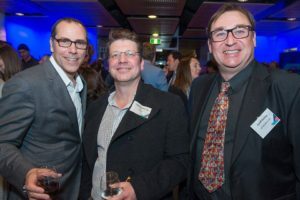 This is an expansion of the regional SA and VIC app ecosystem the startup has published since 2016. At present in development are two for Victorian and one for a NSW location, to support returned service personnel reintegration services. These will highlight the businesses whose support is vital to the program. The apps also identify and promote the towns and regions activities, services, businesses and attributes for all to access, either visitors or residents. The apps availability will continue to be promoted to domestic and international travelers as well as defence service members and families. Part of this collaboration will include contributing part of the annual subscriptions to the Robe to Recovery program. Discussions have also began on employing returned service personnel to assist with transition into the community they have represented in their service. 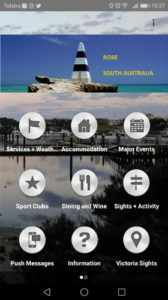 Robe SA app – Goingtoplaces.com’s first app published in in 2016 of our 5000+ download app eco-system. Currently with 800 + downloads. Presenting the active and vibrant life of Australia. The apps are relevant to residents as well as visitors. Displaying the services, sights and activities available with directions to destinations. In addition to providing details of activities, entertainment, accommodation, dining and more to do and experience. Local government, community clubs, medical services, and sporting clubs are listed for no charge. Including club activities. local markets, fairs, fetes and playing programs.Visitors are informed of the everyday events which are not promoted, which makes it possible to be immersed in the lifestyle of a location. Instead of being on the outside looking in and not experiencing the community conviviality that makes life a happy experience. 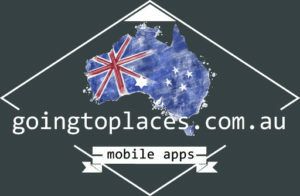 If you want to be included on the Robe SA app or have inquiries about your regions app development schedule, please contact us for more information.